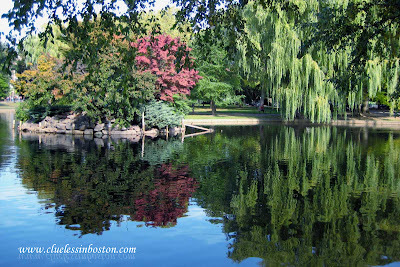 Fall reflections in the pond in the Public Gardens. Oh, wow. Even your copyright thing is reflected. What a beautiful photo. Very beautiful photo. Colors are pleasing to the eye and the reflection just makes you peaceful.